These last couple of months have been super duper hectic. With all the stress of final wedding planning arrangements, a minor sickness was inevitable. I was constantly on the go the week leading up to it and barely gave myself any time to rest. I felt like I was coming down with something before the big day but was able to fight it off for the most part. Then the day after my wedding, BOOM! it hit. (Good thing we didn't have any honeymoon plans!) I was scheduled to work the very next Monday, and calling in sick to work was out of the question since I was supposed to be covering for someone for the next two weeks and there was no one else who could cover for me. So come Monday I was THAT person at work. You know, the one who can't go 10 minutes without blowing her nose. The congestion was insane. Man, I'd never been so happy that my desk is isolated in its own little room. Finally, I decided that I needed a little extra help and turned to Advil for some relief. Fortunately, I had some Advil Sinus Congestion & Pain (formerly Advil Congestion Relief) at home. In hindsight, getting sick may have been completely my fault because I was actually looking forward to trying this OTC drug (plus when it comes with freebies like a schnoz stress ball and exclusive Advil tissues you can't help but get a bit excited about it. Thanks Smiley360 :] ). I've always just stuck to Sudafed when shopping for congestion meds. In fact, I didn't even know Advil had a cold/allergy line. Before getting into the nitty gritty of what works or doesn't work, here's some drug facts. You know, the important stuff. 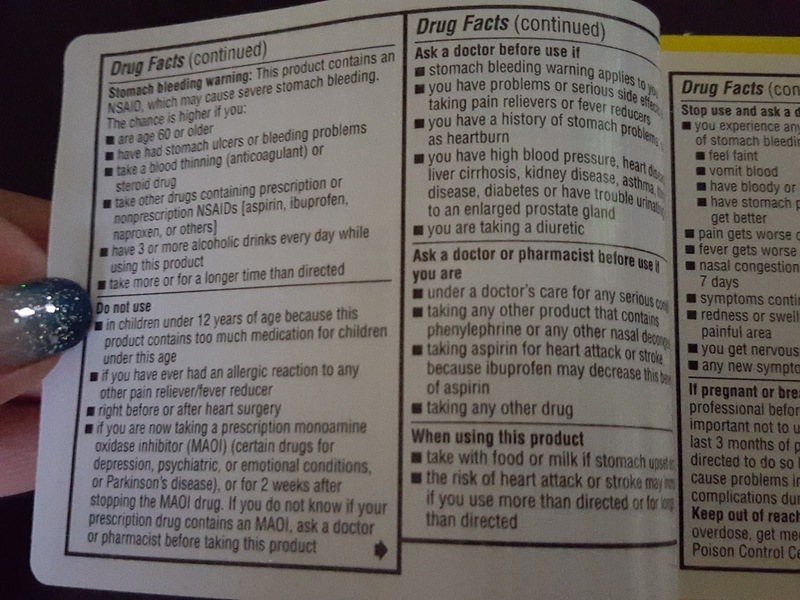 I took a photo of each panel so you can get all the drug info without taking a trip to the pharmacy. Or since everybody and their dog has internet access, you can just look it up on Advil's product page under Dosing Information. Ibuprofen, 200mg - This is equivalent to one regular strength Advil pain reliever. Ibuprofen is a nonsteroidal anti-inflammatory drug (NSAID) which works by blocking the production of prostaglandins (the 'swelling chemical') so that your tissues don't swell as much and therefore you won't feel the pain associated with swelling. 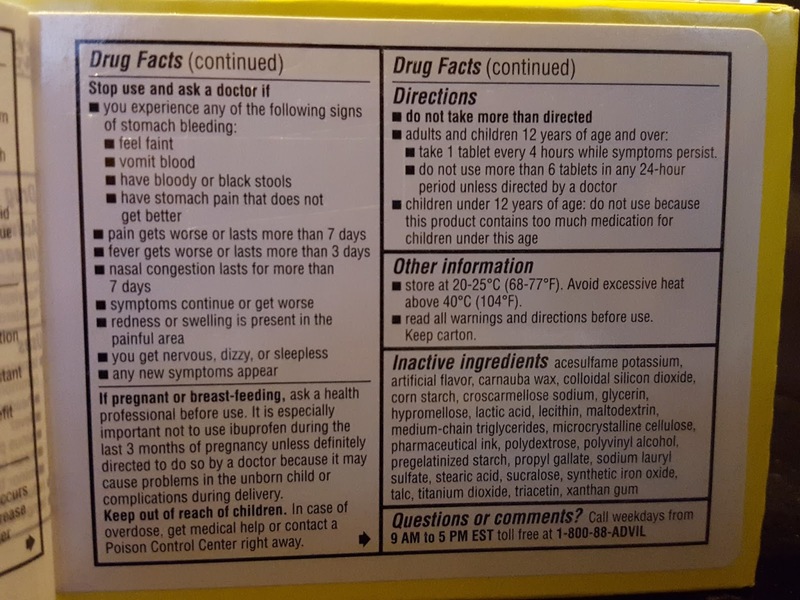 Phenylephrine hydrochloride, 10 mg - This is a nasal decongestant. Ever since its older cousin pseudoephedrine started flying off shelves and into homemade methamphetamine, the popularity of phenylephrine in meds has skyrocketed due to imposed restrictions on PSE sales, so it's worth knowing how phenylephrine works. When an irritant (hello, cold virus) is detected in the sinuses, cells initiate an immune response and amid all the ruckus inflammation occurs. The swelling of blood vessels brings a deluge of fluids into the sinuses as well as prevents drainage from the sinuses which leads to the stuffy nose feeling. Phenylephrine is a vasoconstrictor, meaning it constricts those blood vessels and allows drainage to occur, resulting in a "runny nose". As I mentioned earlier, I was feeling like crap so I took one dose (1 pill) after dinner and waited. And waited. My headache dissipated some but I still couldn't breathe. I thought maybe sleeping might help because rest is the greatest thing in the world, right? Well, after tossing and turning for two hours, I still felt crappy and short of breath. I felt like I wasn't getting enough air into my lungs even if I breathed through my mouth. I tried going outside for some fresh air but that didn't help. 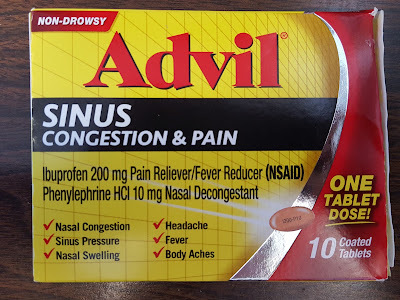 When I started getting dizzy, I decided it was time to just use my go-to congestion med (which uses a different nasal decongestant) to determine if it was a freakishly horrible congestion episode or if it was just the Advil that wasn't effective for me. Within half an hour I was breathing fine and sleeping like a baby. I wish Advil Sinus Congestion & Pain worked for me. I really do. 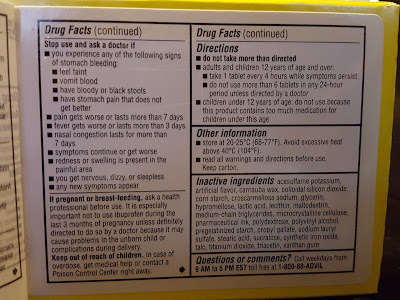 But based on this and past personal experiences with phenylephrine HCl, it's not as effective as its alternative. The shortness of breath and dizziness I felt could also have been side effects, though it was my first time experiencing those effects when using phenylephrine. There's actually an ongoing debate about which works better, pseudoephedrine or phenylephrine. 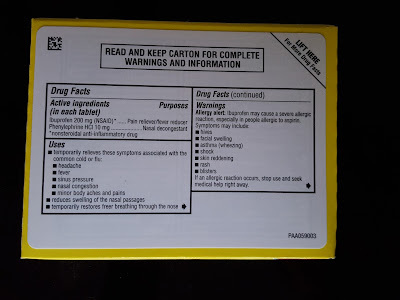 Some claim that phenylephrine isn't as effective when taken orally - that it might work better intravenously, but I'm fairly certain pharmacies won't start selling OTC phenylephrine injections anytime soon. Another reason why many prefer pseudoephedrine is that in addition to being a vasoconstrictor, it also helps to clear the airways of excess mucus. 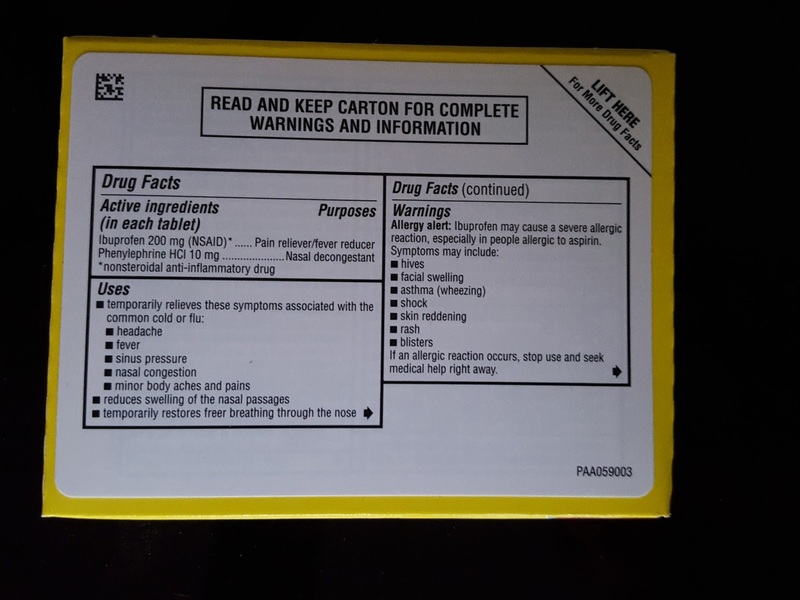 However, because a few individuals choose to manufacture illegal drugs at home, it can be a pain to purchase meds containing pseudoephedrine; some states don't even allow PSE sales without a prescription. So the burning question: Do I recommend this product? People react differently to drugs so I can't really give a yes or no answer. I think it's a great medicine for sinus pressure if phenylephrine works for you. In my case it didn't, so it likely won't be replacing my current PSE-containing sinus meds. I am willing to give it another shot, though, in case this incident was just a fluke. 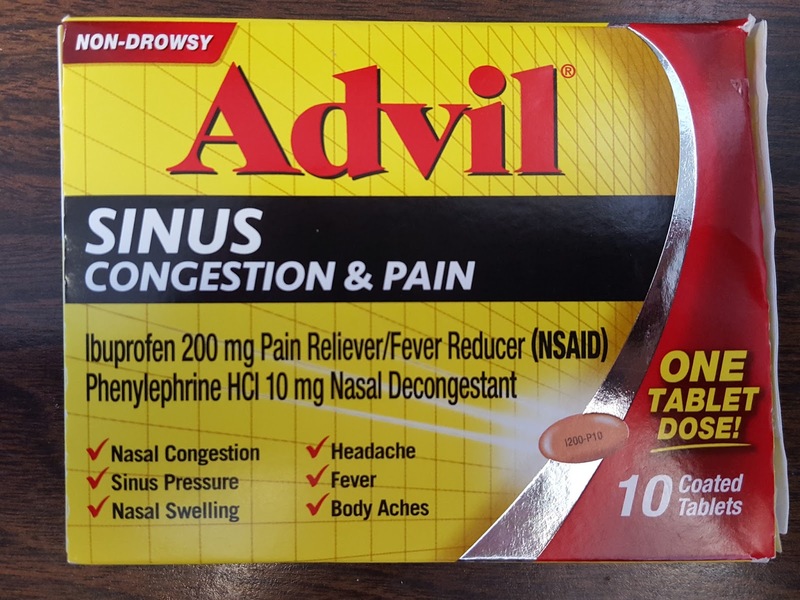 What is your take on Advil Sinus Congestion & Pain and other phenylephrine-containing medicines? Does it work for you? If you want to grab a box to see how this drug works for you, click here to get $1.00 off. You can find Advil Sinus Congestion & Pain at most pharmacies. 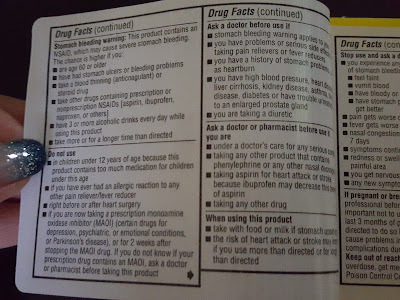 *As with all medicine, check the box info or with your doctor for any possible interactions with other medication you are currently taking before use. Note: This post contains referral links. 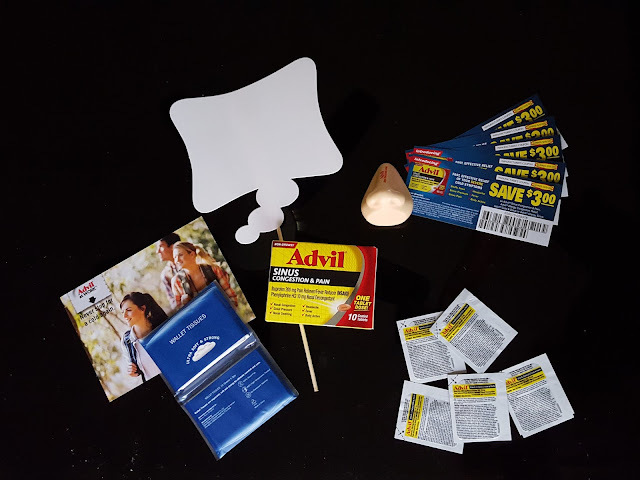 I received Advil Sinus Congestion & Pain complimentary from Smiley360 for testing purposes. This post reflects my honest opinions about this product.